This is music that will speak to you about things that have happened! An album that sounds like you are alone in the desert all by yourself. Remembering childhood experiences and musical instruments and all the joy that took place. We have forgotten because of terrible things that have happened. Is it the truthfulness that attracts you to this music? Listen out of time: Mark Olson & Ingunn Ringvold are singing ‘Spokeswoman of the Bright Sun’, the follow-up of the critically acclaimed Alternative Country/Americana masterpiece ‘Good-bye Lizelle’ (Glitterhouse Records, 2014). Ingunn Ringvold – Mark’s wife and musical partner in life and music – comes from Norway, the home of Thor Heyerdahl, the explorer of Easter Island and Kon Tiki raft author. She has been singing in public since she was a very young person. Her voice is one of natural beauty. Ingunn is honest, trustworthy and strong. She hears music in her heart and writes emotionally dramatic and moving string arrangements. She plays the Armenian Qanon. She studied with Arax a very well established Qanon master from Vanadzor, Armenia. In Vanadzor she learned how to harness great strength in her performance style. Ingunn also plays the keyboards, djembe, guitar and dulcimer. “Composing and arranging for ‘Spokeswoman of the Bright Sun’ was one of the most joyful experiences of my recording career.“ Ingunn recalls, “I’d bought a Mellotron from Stockholm that I was very excited about, every different string arrangement was like a different color in an impressionistic painting, I was able to incorporate from my musical heritage, the hymns and the folk songs of my Grandmother, to my own style of minor and major walking hand in hand. 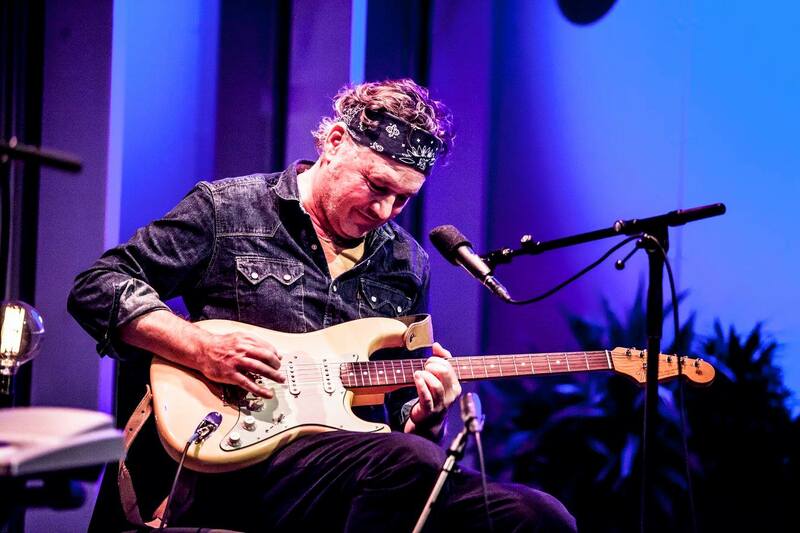 Working with Mark’s original material and unpredictable chord progressions has been the highlight of my musical journey, it’s like I’m standing in the desert holding a gemstone in my hand”. All original track recordings were made with a Nagra field recorder. These tracks were delivered to John Schreiner for mixing and mastering. This is the moment a rainbow came into town. John has worked in some of the most important historically speaking and result speaking recording studios in Los Angeles. John worked with Hal Blaine in the past and in the present reinforced his studio sounds in San Clemente, CA with room sounds from studio 3 at Western Recorders. John mixes in groupings and the results are a new step forward in post modern folk-rock sound exploration. Enjoy the warmth and spaciousness of these outstanding musical mixes! Mark Olson was born and raised in Minnesota by a family of mostly farmers and school teachers. He has been involved with musical instruments since the age of twelve and is self taught for the most part and uses alternate tunings and two part unison singing followed then by breaking off into harmony in his writing and live performances. He lives now in the California Desert with his wife Ingunn Ringvold. Mark and Ingunn tour off and on internationally almost every year. 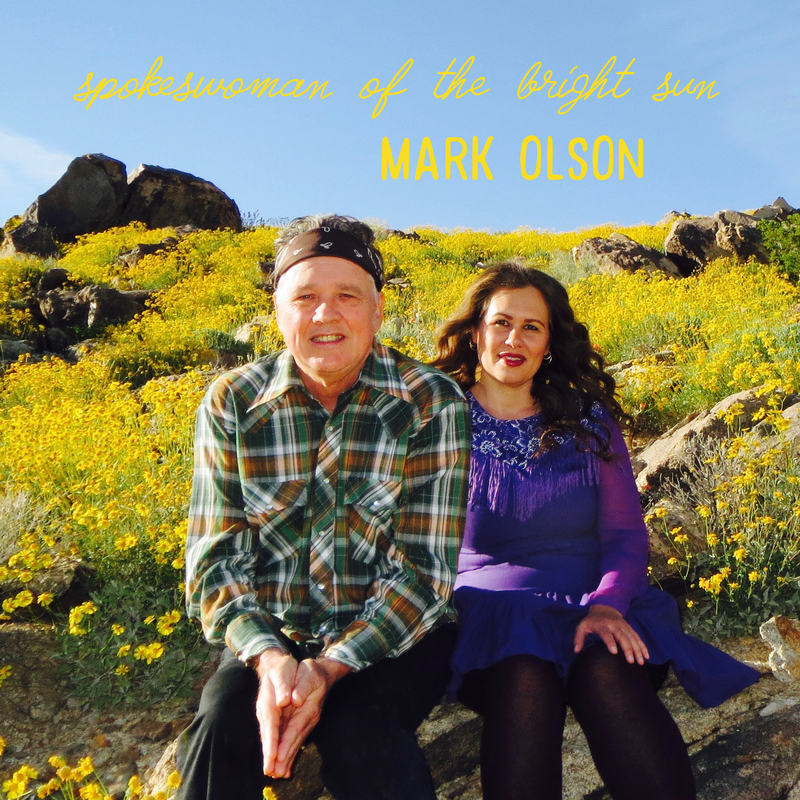 ‘Spokeswoman of the Bright Sun’ by Mark Olson will be released by Red Eye Distribution August 25th in N. & S. America and Australia/NZ and Glitterhouse Records September 1st in Europe 2017 followed by extensive touring.